Whether you’re a sample hoarder or just happen to accumulate a small fortune thanks to generous salespeople and fortuitous beauty purchases, don’t toss those samples! Here’s how to get the most out of ‘em! 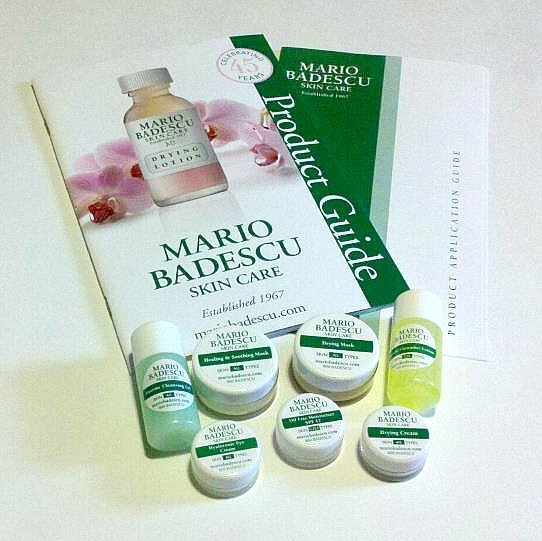 BUT FIRST: We’d be remiss if we didn’t mention that you can try samples of Mario Badescu, too. If you haven’t already, take our online skin analysis. We’ll create a regimen customized for your skin based on your responses to the analysis questions, and you’ll receive samples* that are just right for you! Perfume samples are so adorable, aren’t they? They’re meant to be used as testers – so obviously use them as such – but after I’ve taken a whiff and decided which ones were a definitive “no” (and later given to someone else who might enjoy them), I divvy up the ones I do enjoy and keep them in handbags, clutches, and toiletries bags. You never know when you’re in need of a spritz, so finding a tiny vial of your favorite fragrance is kind of striking a gold mine. Foundation, concealer, BB creams, oh my! I’m not a big base person, but if the sample shade is a fit, I always keep a packette in my wallet, gym/dance bag, travel makeup pouch, and work desk. Shampoos, conditioners, styling product packettes are a jet-setters best friend. Also perfect for sleepovers or weekend getaways, because they nix any and all hassle that comes with packing potentially leaky bottles, meeting TSA requirements, and the devastation that may occur when your Holy Grail hair products get lost/damaged mid-travel. Lipstick samples are ideal to stash in your clutch for any busy day that calls for a day-to-night quick-change. No bulky lipstick bullets needed (your overstuffed evening bags will thank you; plus, when do we ladies ever reapply on a good night out?) – just hop into the nearest powder room, pop open a sample, apply with your finger, et voila! Instant glam and a pick-me-up all in one. Skincare samples are made for travel. They’re usually a bit more generous in size – lasting anywhere from a weekend to a week, even – and like your hair goodies, save on precious space, heartache (delicate glass bottles! Leaking favorites! Etc.! ), and frustration when TSA goes through your belongings. If you have sensitive skin, we highly advise that you stick to samples of brand favorites (experimentation can be a bit risky). And save those adorable jars and bottles! Recycling’s good for the soil and soul, plus, sample packages meet pesky air travel constraints. Simply give the empties a good clean and re-fill with your all-time favorites for the next trip. I’ve been reusing my MB sample bottles and friends never fail to marvel at just how adorable my minis look lined up at the hotel/host/hostess’ bathroom counter. Quick Tip #1: I keep a sample of the Summer Shine Body Lotion with me at all times. Who doesn’t love glow? Better yet, who doesn’t love summer (and smelling like vacation, too)? There have been many-a-times when exposed collarbones, bare shoulders, or legs have been beautified because of this savior. (Unconventional) Quick Tip #2: I’ve been known to tote around a mini of the Enzyme Cleansing Gel because of my 16-hour days. Morning rehearsals, to work and/or class, to more rehearsals – the skincare gods only know of how desperate I am for refresher in between it all. The Facial Spray with Aloe, Herbs and Rosewater is lovely for an instant pick-me-up, but there’s no better feeling than the one you get post-cleanse, #amirite? And if you’re really the queen of samples, know that giving’s good for the soul. No occasion needed: just curate a set of beauty things you know your friend(s) would love or have been dying to try, stick it in a cute/quirky mug, toss in a few chocolates, and wrap it up in pretty cellophane. Why not? How do YOU use your samples? Get three FREE samples with any order! *New to Mario Badescu? Take our skincare quiz & you can get free samples for only $2.95 U.S. shipping. I need more information about your products. Hi there. I am very interested in trying your skincare products. Is there any way you could send me samples to try at 17211 Mesa Springs Ct, Houston, TX 77095. THanks so much!! Today every woman is aware about skin care products. If you buy best skin care, you will not face any type of problem. Like if you use beauty products, it should be branded, so that it looks good after use. home a bit, but instead of that, this is fantastic blog. A fantastic read.